"Finally hearing good news from a distant land is like a drink of cold water when you are dry and thirsty." 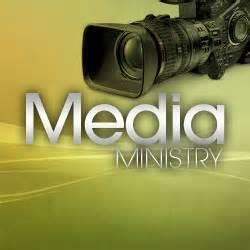 The mission statement of the Media Ministry is to provide a quality publication and sound for the disciples of New Providence Missionary Baptist Church and the entire community that spreads the Gospel of Jesus Christ. To provide information and sound that encourages the unsaved to become saved and to promote and stimulate communication among the body of Jesus Christ.